‍Salt and sweat the zucchini slices for an hour. Brush each slice with oil. ‍Grill the zucchini slices on both sides. 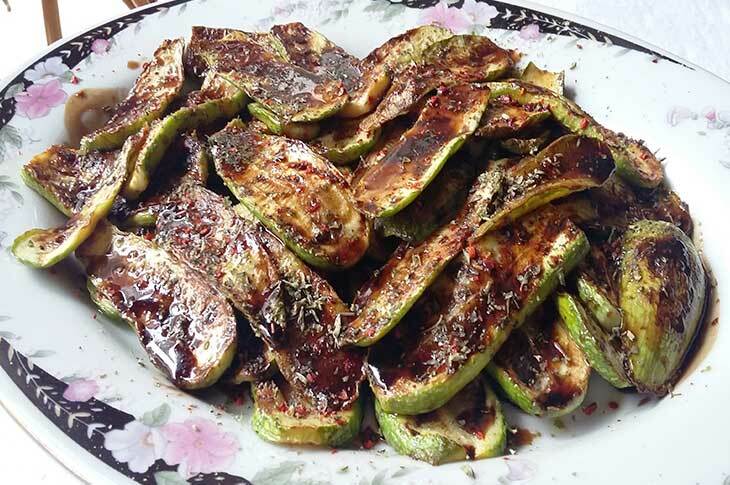 ‍Lay the grilled zucchini slices. Sprinkle them with red pepper flakes and oregano flakes. Pour the pomegranate molasses on top.